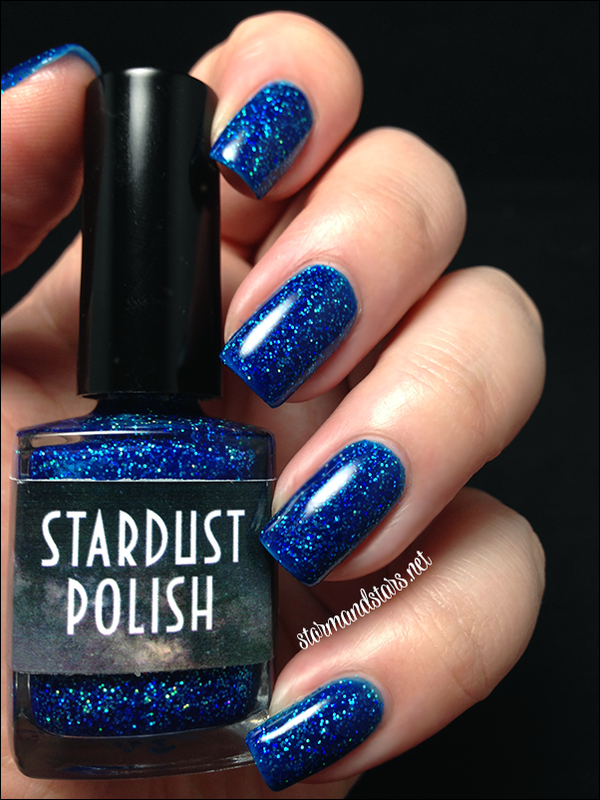 I have two very super awesome lacquers for you today from Stardust Polish. Now, I love anything that is super uber sparkly and shimmery, so it should come as no surprise that I LOVE both of these shades. They really speak for themselves, so lets get to it! First up is Kinda Jazzy. 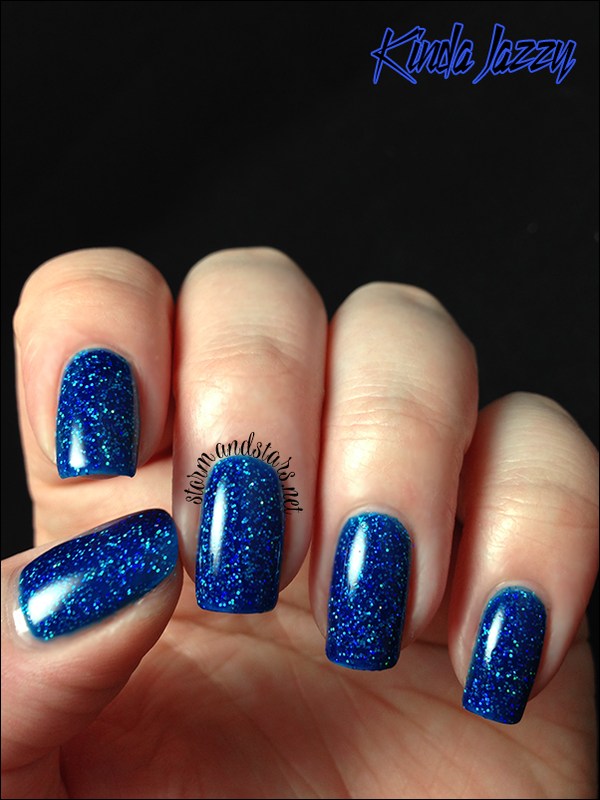 Kinda Jazzy is a GORGEOUS blue jellyish lacquer loaded with holographic glitters. I LOVE THIS POLISH. Enough said. I used just two coats of Kinda Jazzy alone plus topcoat for this look. 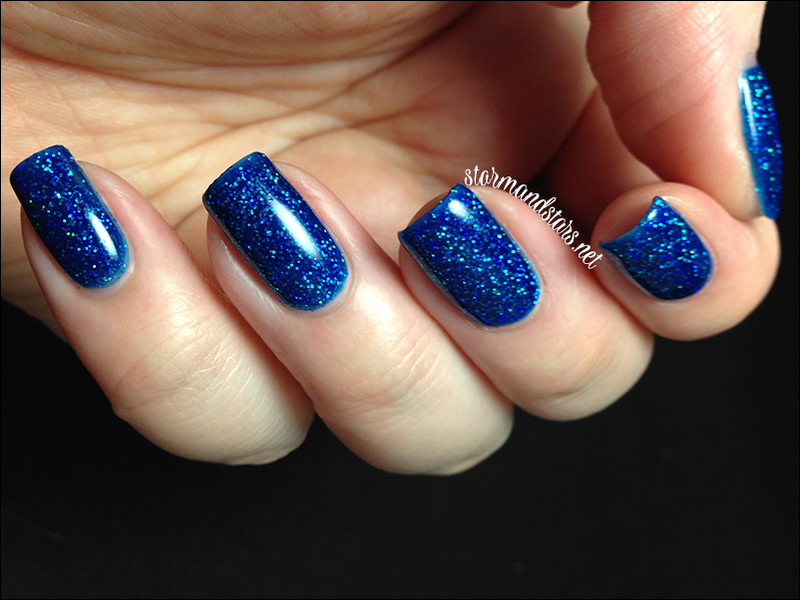 I was pleasantly surprised with how great the formula was and how easy it was to clean up for both a loaded glitter and a pigmented blue lacquer. You think she looks sparkly here? I can't even begin to describe her moving in the light. Just beautiful. The other lacquer for today is Retro Ruby. Retro Ruby is like Kinda Jazzy's sophisticated older sister. 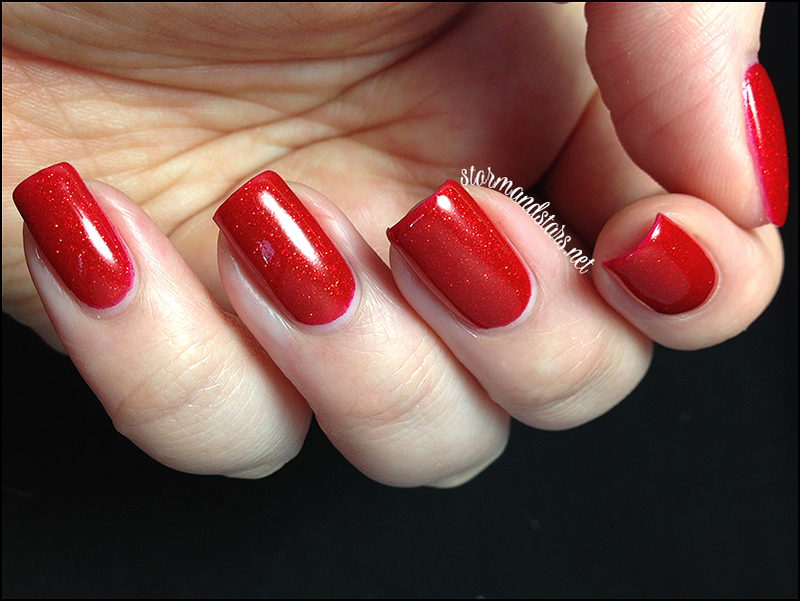 This lacquer is a super sparkly red jellyish polish loaded with red shipper and sparkle. Do you know the old carnival rides with the sparkly gemtoned cars? This is the red one. LOVE. I painted on three coats of Retro Ruby, though I probably could have gotten away with two. The formula was superb and it went on super smooth. I added a coat of topcoat to enhance the shine. This is another lacquer that you just have to see to believe. The amount of sparkle is INSANE. 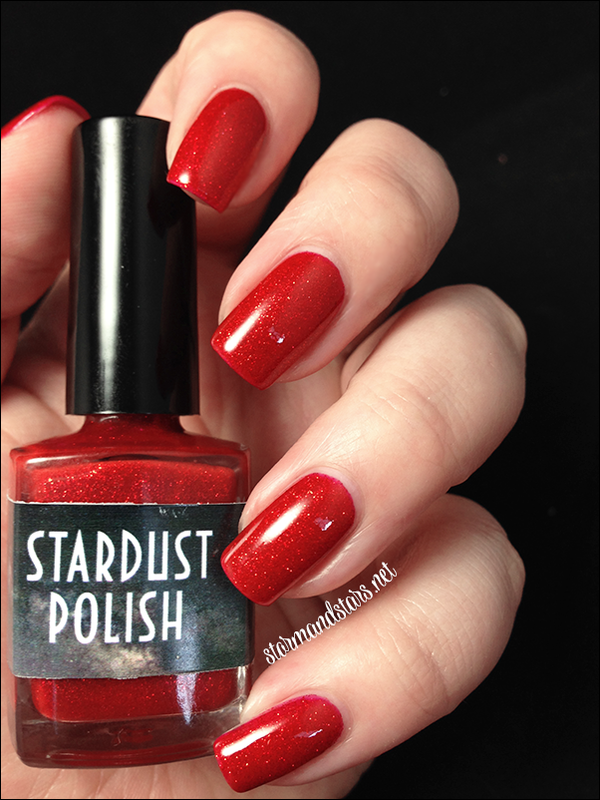 Stardust Polish will be releasing these two lacquers along with two other colors on July 15th, so mark your calendars! I am absolutely marking mine so I can get the other two. Keep your eyes peeled for my Nail Art Guild post on Friday as my 4th of July manicure will feature these two shades!